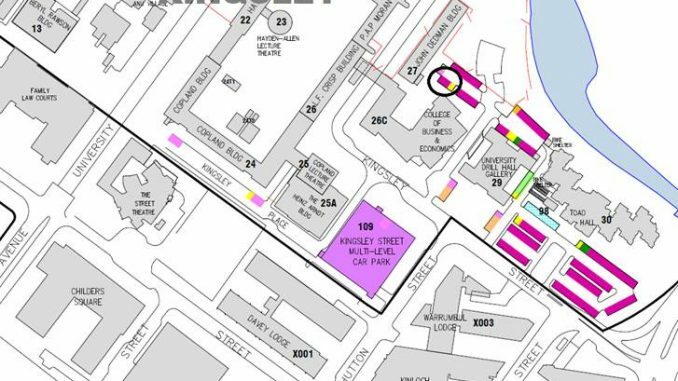 Parking in the Kingsley precinct, the area around Toad Hall, has been restricted to staff and students as of 11th May, following concerns expressed by students and staff that construction workers were monopolising the space. Students have also reported construction workers parking in disability car parks, despite not having a current disability permit. The Kingsley precinct (area 1200500 in CellOPark) holds 152 available carpark spaces, including 12 disabled spaces. 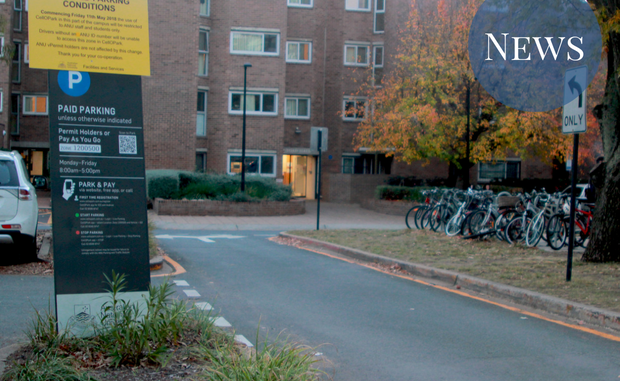 An ANU spokesperson said that “Construction workers arriving on campus between 6am and 7:30am each day were parking in the Pay As You Go (CellOPark) parking areas – in most cases taking over entire car parks. Thus when staff and students arrived, they had nowhere to park.” Construction workers with LendLease are able to park in a “nearly commercial parking facility”, and had been previously advised to not park on campus. The website for the Kambri update states that “Contractors working on the Union Court Revitalisation project and the construction of the Pop-Up Reunion Village will park off campus in a dedicated site office or with exclusive use of a nearby multi-storey carpark during typical construction hours of 6am to 4pm.” The changes to CellOPark therefore enforce the contractual requirements that have been in place since construction work on the Kambri project began. Kambri construction is slated to be completed early next year, which will include the addition of an underground carpark. The change to parking will only affect the Kingsley precinct, with the Ellery precinct (the area around Coombs), having had such restrictions since 2015. Oskah Dunnin contributed to this story.